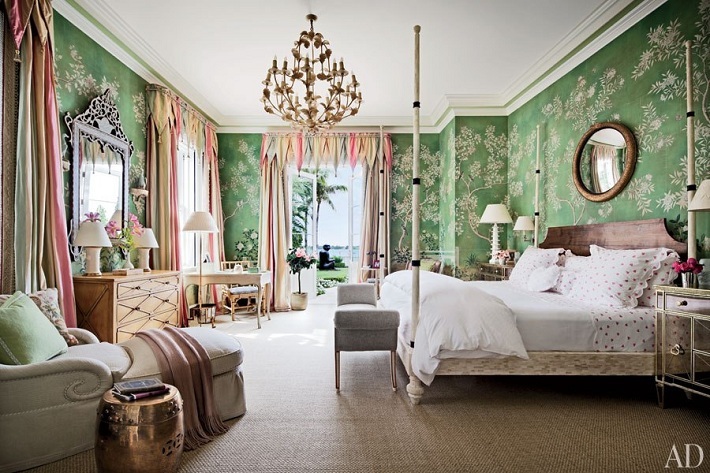 Mix and Chic: Home tour- Two extraordinary estates in the Hamptons and Palm Beach! 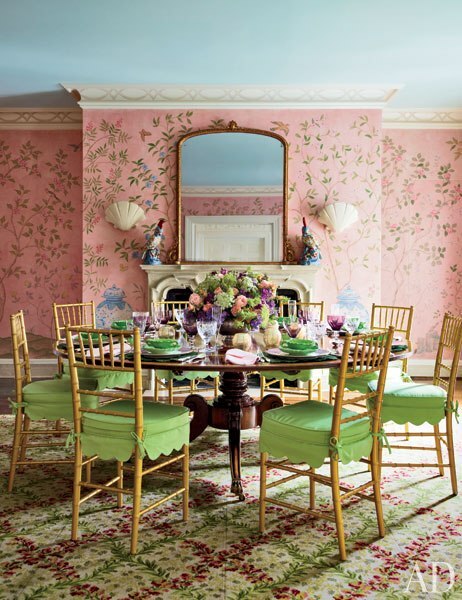 Home tour- Two extraordinary estates in the Hamptons and Palm Beach! 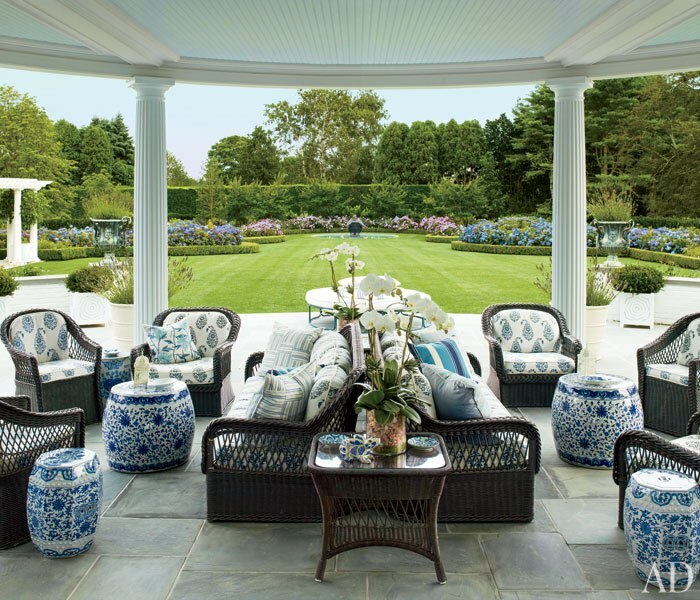 Be inspired by these amazing estates in the Hamptons and Palm Beach designed by interior designer Mario Buatta for outstanding hosts, Hilary and Wilbur Ross. Aren't both estates breathtaking? There is so much inspirations to be found in both homes. 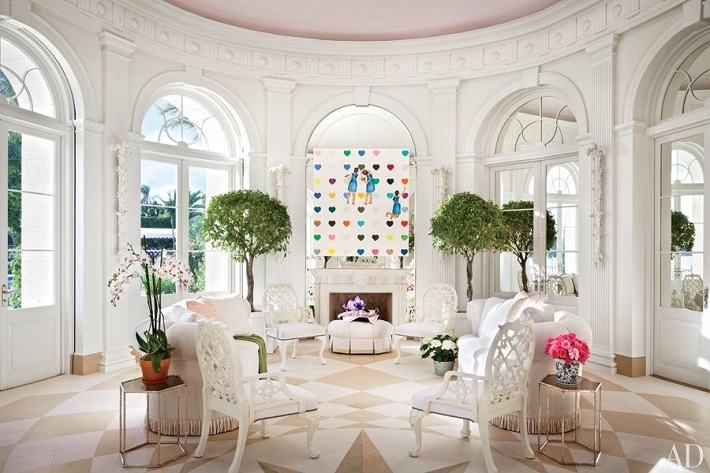 I particularly love the whimsical playroom for its fun decorative painting and the fresh grand ballroom for its gorgeous moldings and windows. The custom made bed looks extraordinary as well. 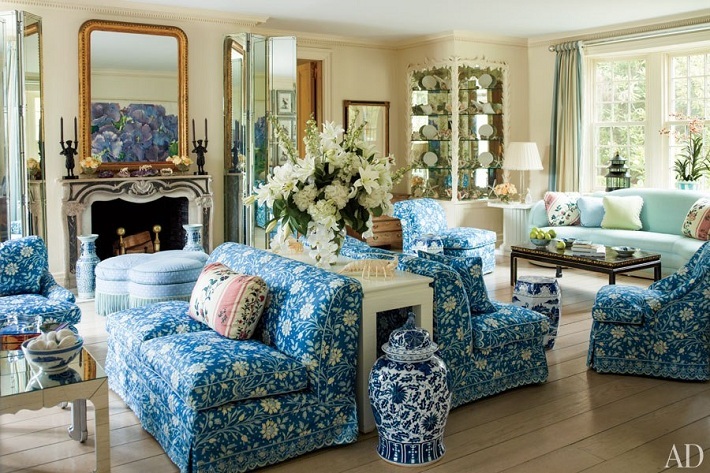 The designer did a great job pulling the designs together in both homes, what do you think? Is there particular room or element that catches your eye? I would love to know! Adoro estampas florais na decoração, dão um ar romântico e delicado, lindas fotos!! 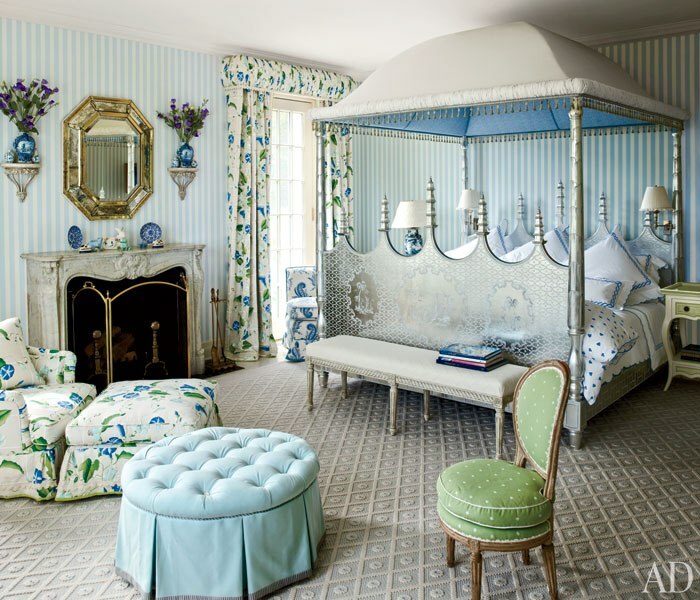 That south hamptons loggia is picture perfect!But the master bed kinda scares me, all those spikes-yikes! Whoa. I just went Pinterest crazy, Jessie. LOVE both of these homes! I love both of them, wow. The outdoors are my favorite part.